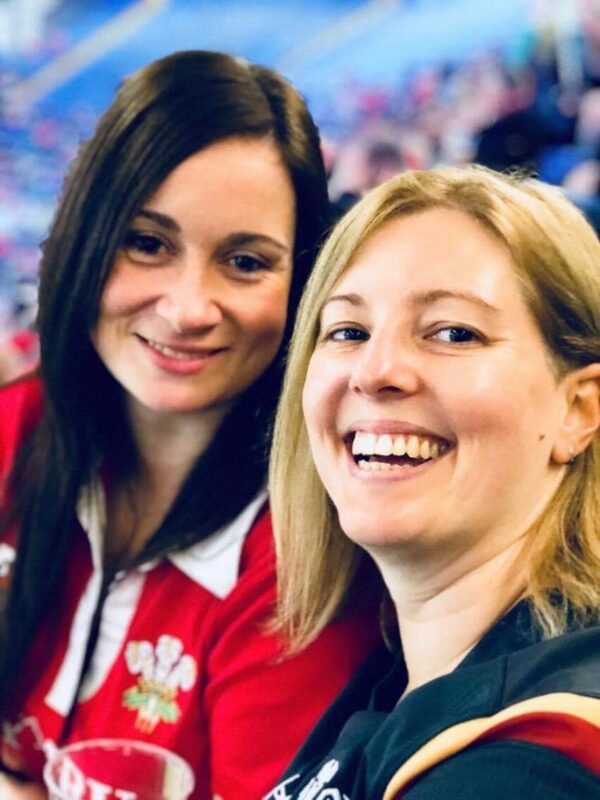 February is LGBT+ History Month and we're pleased to be able to share this blog by Ruth Williams the Vice-Chair of Enfys, Cardiff University's staff and postgraduate student network. Ruth shares her experience of mental health problems and how she was affected by having to hide who she was when she was growing up. In 2014, I helped to coordinate Cardiff University’s film for the It Gets Better Project. For those of you who haven’t heard of the project, it inspires people across the globe to share their stories and remind the next generation of LGBTQ+ youth that hope is out there, and it will get better. I talked about how hard it was hiding my identity as a teenager and leading both a straight and gay life, how part of the reason I self-harmed was that I couldn’t cope with living that double-life. We say in the film that it gets better, and it absolutely does – you still have to keep coming out to new people all through your life but once you’ve taken that first step you’re on the road to something positive. What we didn’t say in the film is that, when it comes to your mental health, it can get better or worse. Having good mental health takes constant work, just like healthy eating and exercise. There are peaks and troughs, good days and bad days. At the time of filming, I was in a good place. I was becoming more open about my struggles with having depression and felt empowered to talk about my ways of coping, to let others know they are not alone. Most of the responses I had to the film, and when I talk about having depression, even now, is that people are surprised. I’ve been told I come across as so confident and happy and positive. I’ve gotten very good at hiding how I really feel in order to try and trick myself into believing everything is ok. Luckily when I get home I have my wonderful partner – with her I don’t feel I have to pretend. Late last year I did a talk for the School of Medicine as part of our Athena SWAN Celebration Lecture series. At the talk, I revealed that at the age of 16 I attempted suicide and that I was so glad I didn’t succeed because I was the happiest I’d ever been and I’d achieved so much – I was definitely at a peak. Just three months later, I’m back in a trough and those words seem so long ago. But I know, eventually, I’ll get better and I know I have to work hard to get back to that good place. Even though I’m now 35 and have lots of good things in my life, I still think about self-harming as a way to cope when things are tough and it takes a lot of effort not to fall back into the old routine of hurting myself. I know the relief it gives me is only short-lived. Whenever those thoughts come to me I find other things to do with my hands to keep them busy. I try to keep busy by having lots of hobbies and interests, and I find audiobooks (like Sarah Millican’s ‘How to be champion’ – hilarious! ), jigsaws, video games, and walking football particularly helpful. I’m passionate about equality and my work with Enfys and the Women’s Equality Party help keep me occupied, as it’s when I have nothing to concentrate on that the negative thoughts can rear their ugly head. I try and surround myself with positive people, people who will add to my happiness rather than drain me (the dreaded mood hoovers!). I talk to my partner, friends, manager, to let them know how I’m feeling, that they might not get the best out of me right now, and they know that this isn’t a permanent state. We all have different ways of coping and the important thing is to find what works for you. Talking almost always helps so find someone who will listen and share how you’re feeling with them. It’s not always easy talking to friends, family, or colleagues but there are loads of organisations that can help – Elefriends is good if you want to chat online and there are helplines like the Samaritans. 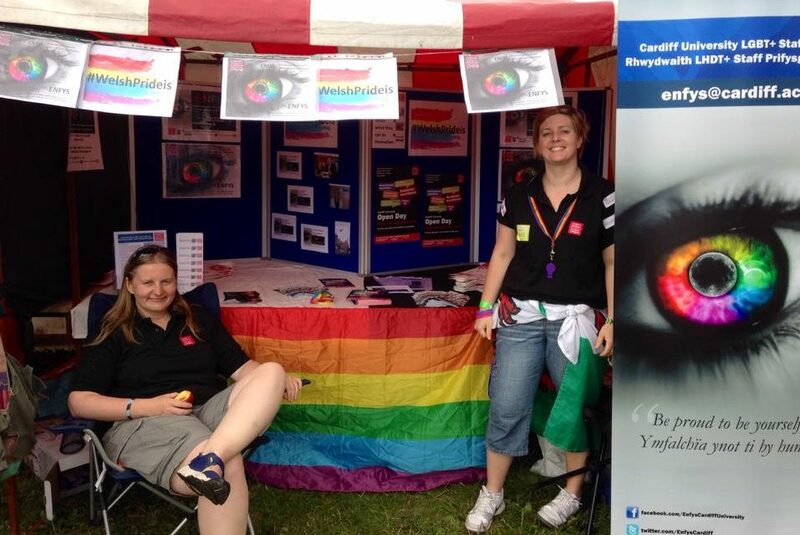 Ruth works in the School of Medicine at Cardiff University and is the Vice-Chair of Enfys, the staff LGBT+ network.